Tropical vibes! This statement style from I Love Billy will make a gorgeous addition to any woman's wardrobe. 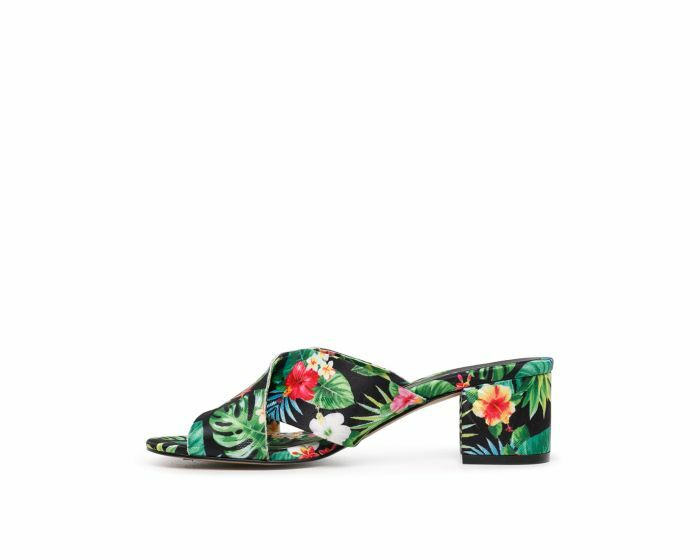 Set on a comfortable mid-block heel, this mule features a printed upper that gives the design a summery feel. Add a touch of glam to beach or poolside looks by styling this shoe with a flowy kaftan or maxi dress.